If you think a superyacht couldn’t get a parking ticket, think again. The owner of 35 metre motor yacht Missy B II, Gene Neil, faces hefty fines and expulsion for “illegally parking” his yacht at New Quay Marina in the Docklands area of Melbourne, Australia. After 10 years of being moored at the same berth of the New Quay Marina, Neil has been slapped with an AUS$80,000 (approximately £37,613) fine. However, a spokesman for the Melbourne City Council – which manages the harbour banks and seabeds in the Docklands – said Missy B II is moored outside of the New Quay Marina’s boundaries and is floating into the waterway, potentially causing a hazard to passing yachts. Gene Neil says he’s met with the marina management, MAB, this week who have threatened to shut off the yacht’s shore power supply. 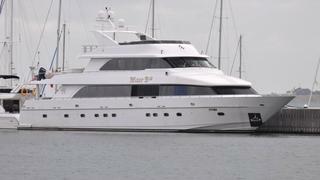 According to reports, the Melbourne City Council started putting pressure on MAB in March this year to remove Missy B II from her berth, and the yacht’s owner Gene Neil was given a month’s notice to vacate. With no immediate berthing solution at the New Quay Marina, the Melbourne City Council is requesting that Gene Neil relocate Missy B II to the council-operated Superyacht Marina at Central Pier. Currently, Neil pays AUS$25,000 annually at New Quay (approximately £11,771) and dockage would run AUS$105,000 per year (£49,462) at the Superyacht Marina, a fee which the Council says is, “comparable with other superyacht facilities around Australia." Missy B II has yet to vacate the New Quay Marina. Gene Neil says if he is forced to leave New Quay he will likely leave the Docklands, an area which is famous for its complicated governing structure with 21 pieces of legislation and 16 agencies involved in its management. Missy B II was launched by US builder Hargrave Custom Yachts in 2004 and received a refit in 2010. 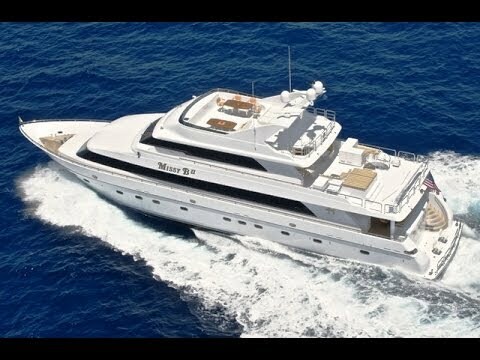 The video below gives a view inside the tri-deck superyacht.